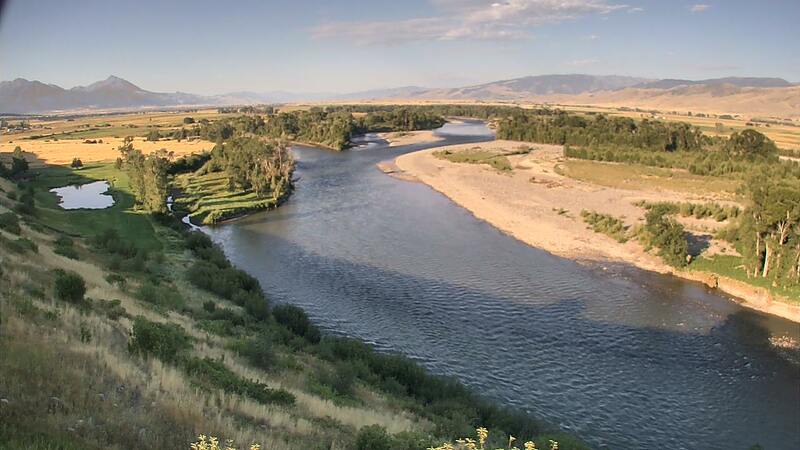 The rain and cooler temperatures last week really had a positive effect on the Yellowstone river. Yes we did have a week trying to find fish-able water in-between sections of mud but things are looking even better for the future. Water temps near Livingston are hovering around 63 degrees today which means the upper river is a little cooler. We are starting to see better clarity and even green water above Yankee Jim Canyon. Yellow Sallies, Caddis, and Pale Evening Duns are still around and fish will be eating them. The Chubby Chernobyl with a Rubberleg dropper has also been working well during the day. Mornings have been more productive than afternoons but you can expect good evening action with Caddis starting around 5:30 or 6 pm. Still a little early for Hoppers and terrestrials but anglers have had the occasional fish eat it. Attractors like the PMX, Turk's, and Simulator's are great top flies as well. If you are in water that has some color or stain to it try throwing some streamers. This is the type of water that can produce some nice fish. If you are headed into the National Park get excited! The Yellowstone, Lamar, Slough and Soda Butte all have been fishing well if the water has clarity to it. Fish up there will be more likely to eat the hoppers and terrestrials so make sure to have some if you headed that way. PMD's, Caddis are good options to have with you along with your attractor patterns like the Parachute Purple Haze, Parachute Adams, Royal Wulff and Trudes. The Yellowstone above the falls opens July 15th so if you are looking for some new water this is a great place to explore. Fishing on the Spring Creeks has been excellent recently. PMD's are still going. Get there early to pick out a good run for the emergence. Nymphing with a PMD Poxyback or split back PMD nymph is a good way to start your day. As things get rolling, cripple and emerger patterns like the D&D cripple, Cripple Thor, or Kinsey's PMD emerger are the best options. Adult Duns can be imitated by Hackle Stackers, No Hackles, Sparkle Duns, and Hi-Vis Parachute PMD's. All patterns should be in the 14 to 18 size range. Keep a few good old Rusty Spinners in the box for later. Red and black zebra midges, tan and grey scuds, small ant and beetles are all good patterns to have when the PMD's slow or shut down.